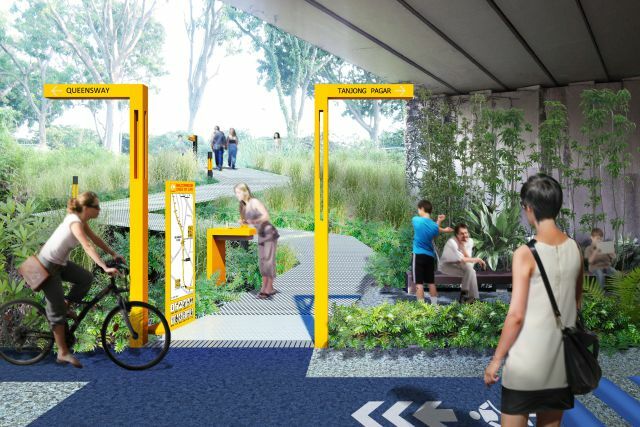 Residents of Singapore will soon be able to easily walk and bike across the entire country—thanks to its new “high line” project. 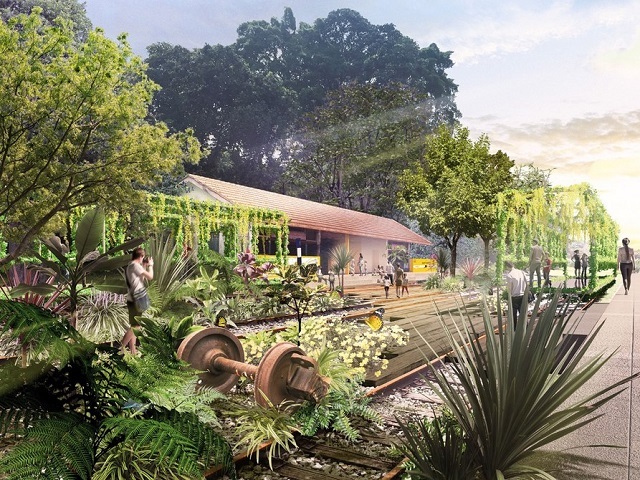 Taking inspiration from New York City’s High Line, Singapore has announced plans to transform the former Keretapi Tanah Melayu railway into pedestrian-oriented public space. Given the project’s magnitude, this is no small undertaking. 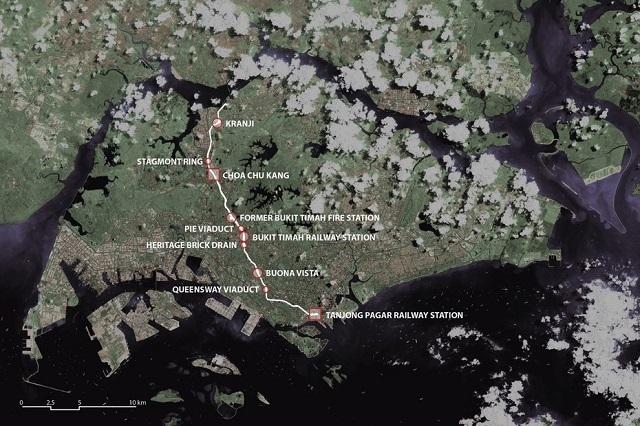 The rail corridor currently spans 24 kilometers, stretching from the country’s northern border to the Tanjong Pagar Railway Station in the south. When the last train rattled down the railway over four years ago, Singaporean officials quickly began reaching out to locals for ideas on what to do with the decommissioned space. After discussing ideas with students and the Rail Corridor Partnership, decision makers agreed that they wanted to transform the corridor into an inclusive space for residents—while also maintaining the railway’s rustic feel and historical buildings. Thus, the concept of the Singaporean “high line” was born. The government then opened the door for proposals, allowing firms and teams to submit detailed visions for the corridor. In total, 64 proposals were submitted—from both national and international designers—with the winning idea announced on November 9th, 2015. The chosen request for proposal (RFP) was from architectural firm Nikken Sekkei, which collaborated with Tierra Design and Arup Singapore. Mr. Lawrence Wong said this team was chosen in particular because “there will also be specific nodes along different stretches of the Corridor to cater to the different local communities. In particular, the team proposed eight distinctively-themed stretches along the entire Rail Corridor, each embodying a unique characteristic of the Corridor.” This way, communities are allowed to have their own unique section along the park, meeting their varying needs. In the months ahead, Singapore will be collecting feedback on the selected design, making tweaks according to citizens’ ideas and opinions. Then, the country will implement a 4 kilometer feasibility study on the corridor to test the project’s rollout. 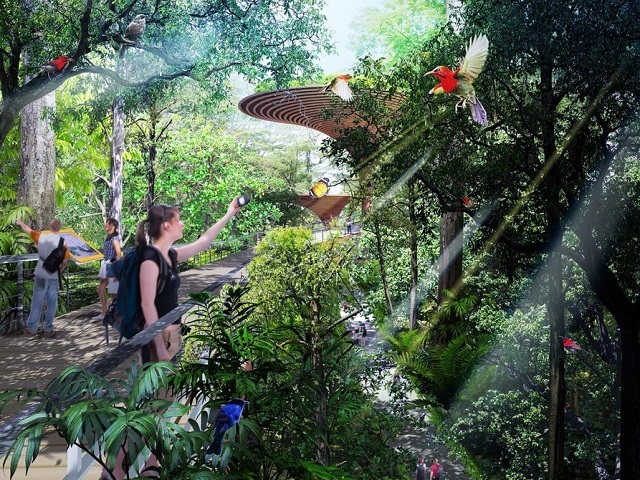 The corridor project demonstrates an ambition from Singapore’s government to approach national projects with an environmental consciousness. After all, officials noted that a primary reason that they selected Nikken Sekkei’s pitch was due to its heavy use of green space. More than that, the “high line” highlights how to effectively engage the public, get feedback and channel those ideas into actual policy. The corridor project is largely a homegrown idea, beginning and ending with the public. Residents can even sign up to volunteer on the project, helping plan its design and assisting in its implementation. Finally, by creating an interactive and attractive public space, Singapore is working to create more vibrant communities, boost the local economy and encourage citizens to take healthier, more sustainable trips. The aspiration is that this vision of the new rail corridor will be achieved in full within the coming years.